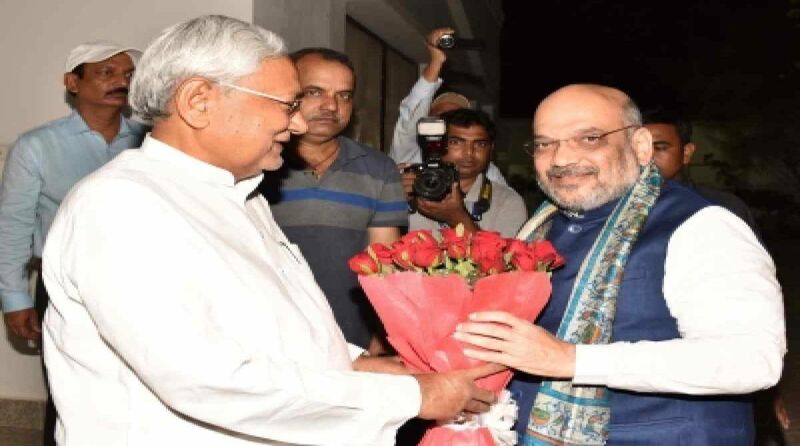 The NDA allies expressed their reservation after reports emerged that BJP and the JD(U) are expected to field candidates on 34 out of the total 40 Lok Sabha seats in Bihar. 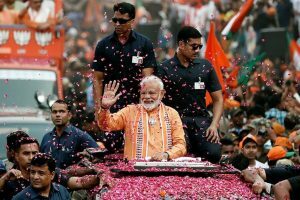 Dismissing the BJP’s seat-sharing formula in Bihar as “kite-flying, two NDA constituents – Lok Janshakti Party (LJP) and the Rashtriya Lok Samata Party (RLSP) – have made it clear that they will not settle for anything less than the number of seats they contested on in the last general election. The NDA allies expressed their reservation after reports emerged that BJP and the JD(U) are expected to field candidates on 34 out of the total 40 Lok Sabha seats in Bihar, leaving the rest to Ram Vilas Paswan’s LJP and Upendra Kushwaha’s RLSP. In 2014 election, the BJP had won 22 seats in Bihar, while Union minister Ram Vilas Paswan’s party had contested seven seats and won six. His colleague Upendra Kushwaha had contested and won three seats. LJP’s Bihar unit chief Pashupati Paras, a state minister, dismissed as “kite-flying” the rumours that his party and the RLSP were likely to make ‘sacrifices’ in the wake of BJP president Amit Shah and JD(U) supremo and Bihar Chief Minister Nitish Kumar agreeing to contest an equal number of seats in the state. “No seat-sharing talks will be complete until national presidents of all the four NDA alliance partners – BJP, JD(U), LJP and RLSP – sit together. That is yet to happen. All that is appearing in the media is hawa hawai (kite flying),” he said. Pashupati Paras, who is the younger brother of Ram Vilas Paswan, said his party would contest at least seven seats. The LJP leader said that the 50-50 agreement between JD(U) and the BJP indicates “nothing”. Madhaw Anand, the party’s national general secretary and spokesman, told PTI, “There is no question of our agreeing to less than three seats. In fact, Kushwaha has conveyed the same to the BJP national secretary general-in-charge of Bihar, Bhupendra Yadav, in person and to Shah over the telephone”. Kushwaha had met RJD leader Tejashwi Yadav at a Bihar town, minutes after Shah and Kumar announced in Delhi that they have reached a seat-sharing arrangement, fuelling speculation of a political realignment in the state. The RLSP chief, who is known to have been sharing an uneasy relationship with Kumar, has maintained that he is firm with the NDA even as Tejashwi Yadav said there was a standing invitation to the party to join the Grand Alliance. Relations between Kushwaha and Kumar soured recently after the chief minister remarked that speaking about the dispute over seat-sharing with the RLSP was tantamount to lowering the standard of discourse. Kushwaha has taken affront to the remark, claiming that the JD(U) leader, who had mentored him when he entered politics, had in effect called him a lowly person and had taunted him for having joined hands with the BJP again, after taking umbrage over Prime Minister Narendra Modi’s caustic remark about his political DNA during the 2015 assembly election.